This antibody reacts with a formalin-resistant intracytoplasmic epitope found in the majority of B cells which is now considered to be the CD20 antigen, a pan-B cell marker. The antibody primarily recognizes a 33 kD polypeptide B cell component and also a minor 30 kD cellular antigen. 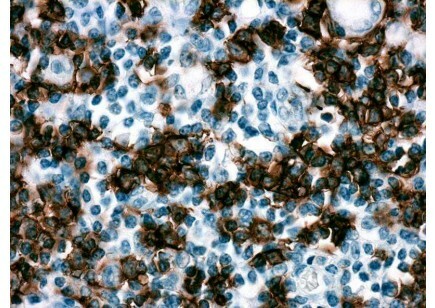 The staining pattern is consistent with pan-B reactivity, producing staining for B cells in lymphoid and peripheral blood tissue. 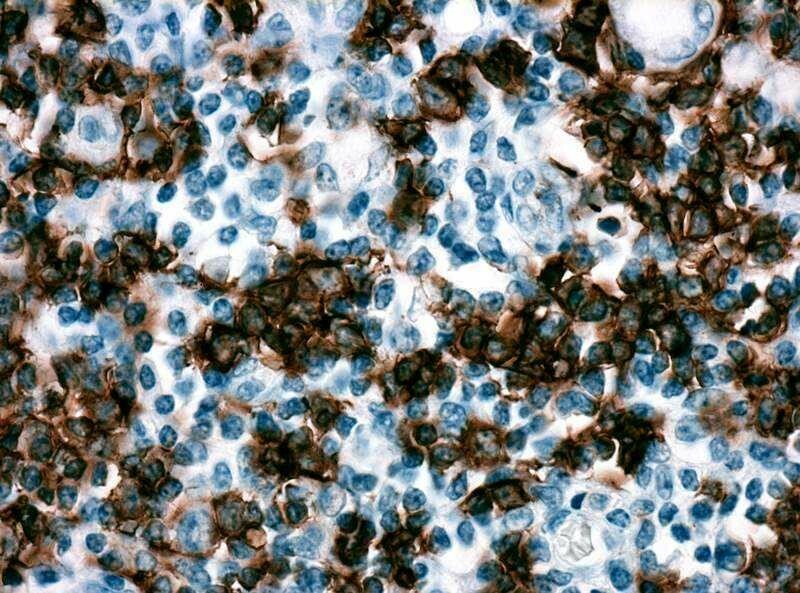 This antibody intensely stains germinal centers and B immunoblasts in lymphoid tissue.The L26 antibody is widely regarded as the most selective B cell marker currently available. L26 has shown no cross-reactivity with nonlymphoid tissues. L26 may prove to be a useful marker for L&H variants of Reed-Sternberg cells of Hodgkin's lymphomas where reactive pattern is distinct from other Reed-Sternberg variants.